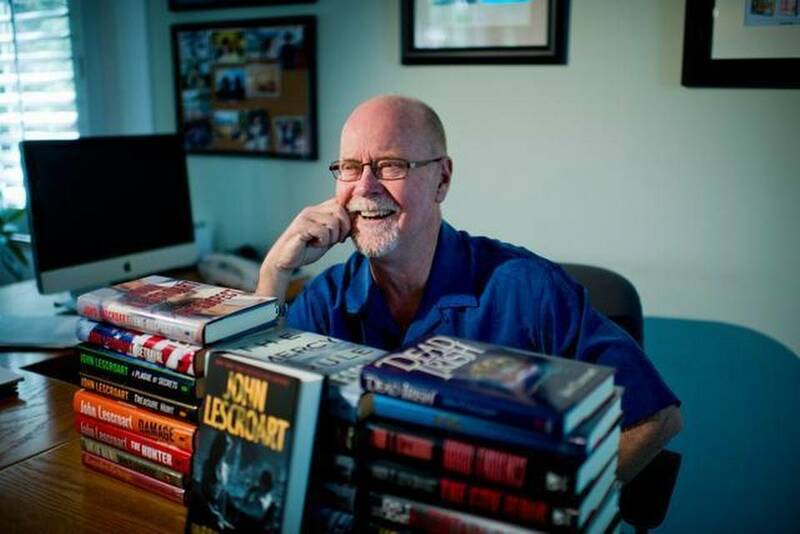 John Lescroart is an exceptional author who I had the good fortune of meeting at ThrillerFest last July. He is a New York Times best-seller with more than 25 books to his name, and his latest novel, The Fall, which came out in May, has been receiving phenomenal reviews. Below is an interview John was kind enough to do with me. I hope you enjoy it. Prior to becoming a full-time writer, what did you do? Until I was 30, I was a musician full-time. I was a singer and a guitar player in a band called Johnny Capo and His Real Good Band. I did that until I was 30. On my 30th birthday I quit. Then I started with a succession of day-jobs. Well, the first thing I did was I wrote a novel that I hoped somebody would want. And then I started working because nobody was paying me for that novel. And I was working as an advertising director, a typist for law firms, a bartender, a house painter, a moving man. You name it, I did it (laughs). I kept that going until I was 44, when I finally had my first hit novel and then things changed. How many novels did it take you before you had that hit? Your latest book is called The Fall. What’s the premise behind this novel? 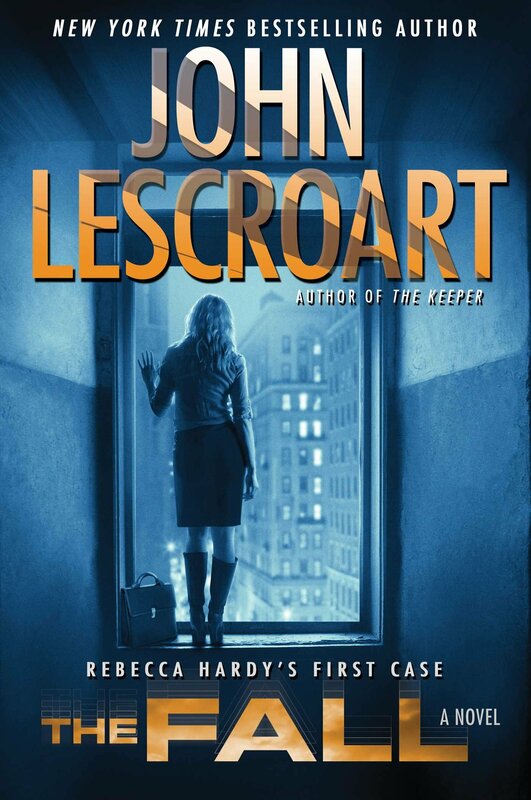 It’s a San Francisco-based courtroom drama that basically gets usurped, stolen, hitchhiked, kidnapped, by Dismas Hardy’s daughter Rebecca, who, pretty much, becomes the lead character in the book – which was very unexpected, and I think, extremely cool. So, I’ve got a young woman protagonist. Who knew this was going to happen? But that’s exactly what ended up happening. One thing I noticed is that readers aren’t as superficial as popular music fans are. Readers only care about whether or not they know the author and if they like his or her writing. Age and looks mean nothing. However, to top the charts in the music industry you have to be young, look gorgeous and sound perfect. Right, luckily for me (laughs). It’s very anonymous. It’s a great way to be well known because no one recognizes you. Even if you’re well known as a name, it’s rare that your name is connected with the way you look. I do find that interesting. Unless you’re Stephen King. But I don’t think I’d even be able to pick John Grisham out of a lineup. I don’t know what he looks like. Great point. For example, you and I know Lee Child and what he looks like. But the average reader might not even know him if they passed him on the street. Do you see any parallels between writing music and writing novels? That’s a very good question. You get sensitive to the actual words you use, if you’re writing songs. And it’s basically a limited amount of words you can fit into a three-minute popular song. So, being a songwriter has made me more precise in the words I choose when writing my books. Of course, when you’re writing prose, the plotting and things like that are unique. I haven’t found much of a connection between the plot of a song and the plot of a novel. One good thing writing a song teaches you is to write a scene. It makes you write one thing, make it good and make it entertaining. Put something funny in it. Whatever you can do to make it work. And that’s true scene by scene. But in the amount of physical work that it takes to put out a novel, there’s no comparison. So, you find that writing books is significantly more difficult? Well, it’s just that you have to do it every day. Writing seven albums of material in a year is like the equivalent of writing 10 pages a day of a novel. And if you’re going to be putting out a book a year, which I have been doing for the past 20-something years, you have to be pretty disciplined about it. You have to go in every day and do it. I have to say that’s what makes it so challenging to complete. It’s just an awesome amount of literally putting words down on to the page. Do you have a strict writing routine you stick to every day? When I was 38-years-old and I had young children at the time, I decided I needed to move out of the bedroom. I moved my typewriter out of the bedroom. This is how long ago it was. I had a typewriter (laughs). So, I built a little room out in my garage, very small, and I wrote my first two Dismas Hardy books in there. 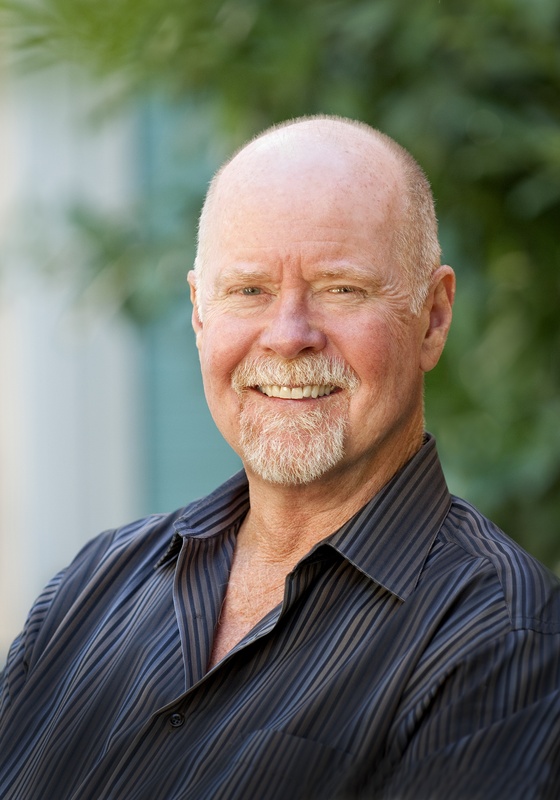 Once I got a little more successful, I rented an office downtown in Davis, California. Then, luckily, things continued to go very well, and now I have the greatest office of all. It’s a standalone house in downtown Davis, with all my books on the walls and all kinds of stuff hanging around that’s artistic. It’s a blast. I go out of the house at 7:30 or 8:00 a.m., I workout for a couple hours then I show up at my office and try to put down words. Who are some of your all-time favorite musicians? I’ve always been a lyric guy, so I’d have to go with the songwriters. John Lennon, John Sebastian, Jimmy Buffett, Jackson Browne, Van Morrison. The guys whose songs are covered by other people. Very much in the line of those kind of guys. Those are the kinds of songs I write. I write very reflective, hopefully good, listenable songs. But they’re really heavily lyrical. 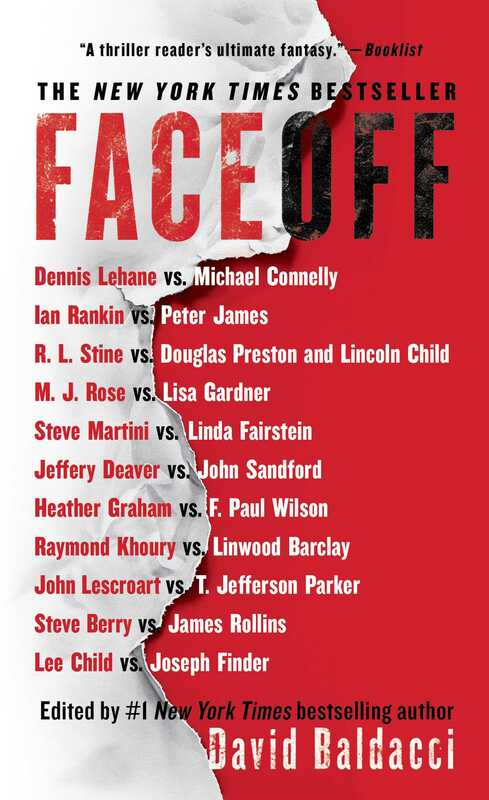 What was it like working with T. Jefferson Parker on a short story for the International Thriller Writers’ anthology FaceOff? A total joy. Jeff has his complete, perfectly terrific franchise where he has a huge fan base and terrific characters that are totally brilliant and unique. I’ve got my guy, Wyatt Hunt, and he’s hanging out and he’s got a nice fan base too. To put these two guys together and give up part of those characters…I’ve owned every word out of Wyatt Hunt’s mouth for the last seven years. And then suddenly Jeff was putting words in his mouth and vice versa. It was absolutely seamless and fun and easy. And we put it together in about a week. It was just a blast. You have several series characters with fantastic names like Dismas Hardy, Auguste Lupa, Abe Glitsky, Wyatt Hunt, and Gina Roake. What’s the inspiration for these creative names? That’s a great question. My characters tend to walk up and say “Hi” to me. I mean they just show up. Dismas Hardy, literally, was in my brain as a name, probably, from the time I was 14-years-old. I didn’t know what I was going to do with him. Probably, I was a fan of The Hardy Boys as a kid, and I was a good Catholic so St. Dismas was one of the people I knew about and he was an unknown name. And I always used to fantasize that I was going to be a writer of some kind and I needed pen names. So, I was thinking maybe my name would be Dismas Hardy. These characters just show up. Gina Roake, I think, showed up in the first Dismas Hardy book, and she kept showing up until I gave her a book of her own. It depends on what’s going on in the book. Sometimes, if I’m just starting out in a book, I’m lucky if I can get a page or two a day. Then, when the books starts to get legs and I can see what the story’s really gonna’ be about…by the time I’m 150 to 200 pages in, I’m trying to get seven to 10 pages a day. Will you be writing any more of the Wyatt Hunt series? It was the first three books of yours I read, and I enjoyed them immensely. I certainly hope so.